Advanced payment (maid services) or deposit (excluded maid services) is required for all of our services. Customers are required to provide the deposit or payment record within 48 hours upon receiving of invoice. Customers are required to provide the payment record with reference(s) (receipt, transfer/deposit reference number or PPS/PAYPAL reference number etc.) along with customer information (ie. Name, phone number and service address). An administration charge of $100 will be charged against the customer if client failed to provide payment reference where deem necessary. Under any circumstances, Service will be only be provided after confirmation of Deposit/Payment. Credit Card: Will be completed via PayPal, a 5% service charged will be applied. If payment is made in foreign currency (other than Hong Kong Dollar), an additional 5% service charged will be applied. Customers should inform us 1(ONE) working day in advance for any cancellation or amendment of the service day and time; otherwise, $150 administration fee will be charged against customers with short cancellation notice. If service is cancelled on the day of service with or without notifying Smart Home. Such service will be considered as completed and no compensation will be provided. If the service date and time need to be canceled or amended, customers are required to inform our customer service by EMAIL or WHATSAPP. Smart Home will not make any compensation if customers request to reduce the requested service hours for whatever reason. If the arrival time for the Home Assistant is late, she will be working overtime for a period of time that equals to the same time that she was late for. If the home assistant arrive the service location and customer is not, Home Assistant will wait for 15-mins for the customer. And if the customer is late more than 15 minutes, Smart Home will not make any compensation while the service will be considered as completed. If there is any late arrival due to special reason, customers MUST contact customer service staff for other arrangement. If service is cancelled on the same day service was scheduled OR cancelled without notifying Smart Home, such service will be considered as completed and no compensation will be provided. In case of Typhoon Signal No.8 or Black Rainstorm Signal is effective on or before 7:00a.m., all morning services (within 9-1) reserved will be automatically cancelled. If those signals are cancelled before 12:00p.m., all reservations in the afternoon (start from 14:00) will be carried out as scheduled. If customers need to change or appoint specific Home Assistant, please specify clearly in the booking. In any case, Smart Home cannot guarantee to arrange specific or same Home Assistant in any circumstances. Our Home Assistants service scope: buying ingredients for cooking, preparing dishes, kitchen cleaning, cooking stoves/refrigerator cleaning, washing clothes by washing machine, ironing the clothes, changing bed sheet and pillow cove, wiping the floor (no squatting or using towel), dust removal, dust collection, window cleaning (window need to install Window grilles), bathroom cleaning, etc. Our Home Assistant will perform the required tasks within the service scope as within reserved timeslot. We reserve the right to deny to refuse to perform any task(s) out of our service scope and/or any task(s) required by customers that is dangerous to our Home Assistant. Customers are required to prepare the cleaning tools such as Vacuum, Broom, Towel, and Detergent etc. in order to let Home Assistant to complete the services. If customers need to buy related tools from our staff, please specify clearly during reservation. Normally, complex/dangerous work, such as cleaning of windows and ceiling lights, takes longer time. Appropriate tools should be provided by customers, inclusive of long-handled sticks and stable ladders. The Home Assistant have the right to reject any task required by customer when potential hazards are spotted, predicted or known. In order to protect the health and safety of Home Assistant, only washing machine will be used for washing clothes, no squatting and using towel to wipe the floor. If customers require Home Assistant to buy materials and/or ingredients, they must provide the shopping list. Time for shopping will be deducted from the scheduled service time. If there is overtime for more than 15 minutes, we will count as 1 hour additional services and based on the fee of each hour as additional charge. Home Assistant (Maid) services are based on service hour. Due to the variation of household condition and customers’ expectations, Smart Home, under ANY circumstances, does not guarantee customer’s instructed tasks will be completely finished within requested services nor to guarantee the cleaning standard align with customers’ expectations. If customer is dissatisfied with the Home Assistant (Maid)’s performance, please contact Smart Home to arrange replacement. In any case, Smart Home will NOT provide any refund for all services hours completed. ALL payments for Single or Packaged services must be completed 2 working days before service. The packages offered by the company are based on 3 or 4 hours as basic servicing unit. Packages are only suitable for registered address. Smart Home reserves the right to deny entire services request for any non-registered address. If the customers declare any false or untrue information, Smart Home reserves the right to: Deny all the services provided Administration fee of HK$150 will be charge from the customerRemaining non-used packages will be invalid and there will be no refund. Due to the price for different locations are different, customers are required to pay for the price difference if service address change is required. The validity of the service to finish is 50 days commencing from the date of first service; customer are required to finish all the services within the validation date, no redemption or refund will be paid after the validity. We cannot guarantee to arrange specific or same Home Assistant in any circumstances but will attempt to fulfill the customer requirement. Smart Home will not make compensation if the Home Assistant had changed. Due to the different situation for the services, Smart Home will attempt but not guarantee to fulfill all the customers’ requirement or finish all the works within the services period. Additional charges will apply in the period of 1 mouth before the Chinese New Year and 2 weeks after the Chinese New Year. Please contact our office for any enquiries. Completed service will be charged at original price if customer terminates a package before the package is completely consumed. Our working tasks include: dust removal and cleaning, windows cleaning, kitchen cleaning, refrigerator/cooking stoves cleaning, bathroom cleaning. If customers request our Home Assistant to clean the furniture (e.g. desks, chairs, wall cabinet), need to require to specify in the booking. Customers MUST notify us if there are any special cleaning requirement for any specific type of furniture(s). At least 2 staff members will be assigned for each task. The number may be increased subject to actual situations instead of customers’ requests. Normally, tasks will be approximately finished within 4-5 hours, if additional time is needed to complete the tasks, there may be additional charges of HK130up per workevr per hour. If customers require Environmental friendly cleaning detergents, please specify clearly in the booking. If such cleaning detergents cannot remove certain type of stains, customer can choose to use Chemical cleaners. Range hoods and exhaust fans are not covered in the cleaning tasks unless they are removed and re-installed by customers. Only surfaces and filters of air-conditioners will be cleaned. Water or any chemical will not be applied ceilings and walls (including wallpapers). Stains of paints & concrete, mold in bathrooms and adhesive papers on windows are not guaranteed to be cleaned/removed completely (please give details when reservation). Client MUST notify us if apartment is a house, village house or if rooftop or basement prior to service confirmation. Dumping of trash and floor waxing are not covered in this Service. Our worker will only operate the tasks within our service scope, we reserve the right to refuse to work on additional work scope unless mutually agreed in advance. Due to the different situation for the services, Smart Home will attempt but not guarantee to fulfill all the customers’ requirement or finish all the works within the services period. The helper reserve the right to deny the work if it will endanger their health or safety. Upon confirmation of service, customers are required to pay a HK$500 deposit within 48 hours once received the invoice in advance (Home Assistant services requires full payment in advance), such deposit cannot be refunded under any circumstances. Should any engineering or construction work is in progress, the cleaning work will not be guaranteed and no refunds are allowed. Customers have their right and responsibility to have inspection after the service is finished. Smart Home will not follow up after the service is finished unless customers inform us or workers immediately during the service. Due to the variation of household condition and customers’ expectations, Smart Home, under ANY circumstances, does not guarantee customer’s instructed tasks will be completely finished within requested services hour nor to guarantee the cleaning standard align with customers’ expectations. 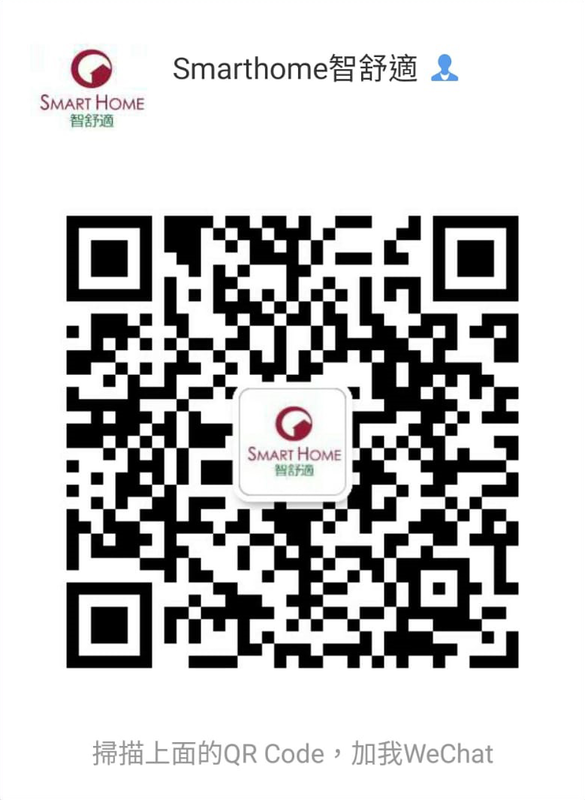 If customer is dissatisfied with our service, please contact Smart Home immediately for arrangement. In any case, Smart Home will NOT provide any refund for all services hours completed. Advance deposit of HK$500 for all the air-conditioning cleaning services is REQUIRED. No refunds are allowed if customers cancel the service in less than 1 working day. Please contact Smart Home 2717-1196 in no more than 30 calendar days after Air-conditioning cleaning service is performed if follow up is required. Otherwise, Additional site inspection fee will be charged in any case. Some units requires renovation work for refrigerant refill or unit repair, if renovation work is required to clean, recharge of refrigerant or repair the AC unit, client can choose to arrange such renovation work themselves or we can provide quotation (on-site) accordingly. Please be informed that the actual charge or service price will be adjusted base on the apartment situation, specify requirement etc. Smart Home will update the new quotation to the customers if there is difference between the quotation and actual service price. We will provide service after receive customers’ confirmation. Customers has the option to arrange quotation of scaffolding work by themselves if necessary, or Smart Home will have an independent quotation for scaffolding work. All the scaffolding work or related construction are not handled or provided by Smart Home. Smart Home will not take any responsibility if the construction caused any issue. If any good or property being damaged during or after the service, Smart Home will make a maximum of HK$200 compensation under any circumstances. All A/C unit maintenance, installation and scaffolding works will NOT be done by Smart Home. Client can choose to arrange such work themselves or we can provide quotation from other suppliers. Smart Home can help to handle quotations from suppliers, scheduling and payment handling. Some units requires renovation work for refrigerant refill or unit repair, if renovation work is required to clean, recharge refrigerant or repair the AC unit, client can choose to arrange such renovation work themselves or we can provide 59 Customer is required to pay the price difference when the actual items requested to clean are different to the plan selected. Advance deposit of HK$500 for all pest control services is REQUIRED. No refunds are allowed if customers cancel the service in less than 1 working day. All the Pest Control, Termites and Rat/rodent control services is single time service. We cannot guarantee the service can immediate settle the issue completely. The pest or rodents issue may cause by external factors, Smart Home will not make any compensation if the issue cannot solved completely. Pest control or rodents service may involve construction work. All the related construction work are not handled or provided by Smart Home. Smart Home will not take any responsibility if the construction work caused any issue. Advance deposit of HK$500 for all VOC Removal services is REQUIRED. No refunds are allowed if customers cancel the service in less than 1 working day. We will measure the total VOC (TVOC) values of the whole environment using a RAE systems handheld monitor before and after the service. Smart Home will not take any responsibility if there is a difference of VOC measurement apparatus provided by customer. All emergency unlocking services (such as losing the key), according to previous record, most of the locks can be opened, but we cannot guarantee it. No service fee will be charged if lock cannot be opened. All emergency locksmith services (keys card locked in locks), in any case we will obtain client’s permission if we need to drill the lock open. However drilled locks cannot be recovered, and the cost for locksmith service (involved drilling) does not include the cost of replacing of new lock(s). If lock replacing is needed, we might not be able to provide the matching lock immediately. If necessary, our staff will inform you the time and cost of replacing the lock. For all non-emergency locksmith services, customers must make an appointment 3 working days in advance. Our staff will consult with you about the details of the service so that we can accurately handle your request. For security reasons and protection of your interests, clients must register with their Hong Kong Identity Card or a valid identity document and complete the lock-out service record form or unlock the entry/opening door service record form when you unlock. If you refuse to fill out the record form, we will not provide locksmith service and you will also need to pay for the service. Customers must sign the work completion report after completing the work. All unlocking services do not have a maintenance or warranty period. Please check after the work done and sign the work completion report. All emergency drainage services are only applicable to residentials. All commercial/industrial drainage services need to be quoted separately. According to previous records, most emergency drainage problems can be accessed, but we cannot guarantee it. If home drainage problem cannot be solved, no service fee will be charged against client. Some of the drainage services involve with pipes outside of the household . If the pipes within indoor get though, we will still charge for the service fee but we will assist our client to contact the property management company in order to deal with the problems outside the unit. If any goods or property being damaged during or after the service, Smart Home will make a maximum of HK$200 compensation under any circumstances. If it is found during the drainage service that any components or drains must be replaced, we might not be able to carry such component and replace immediately. If necessary, our staff will inform the client of the arrangements and the additional costs required. All non-emergency drainage services must be booked 3 working days in advance. Our staff will consult with you about the details of the service so that we can accurately handle your request. Please contact Smart Home 2717-1196 in no more than 7 calendar days after drainage service is performed if follow up is required. Otherwise, Additional site inspection fee will be charged in any case. Maximum compensation is HK$200 applies to all of the service provided if damage is found and caused by us. Service price are subject to change without prior notice. The adjusted price will not affect any paid and scheduled service. Price list from website or leaflet is for reference only. If there is any discrepancy, use the official quotation as standard. Smart Home may disclose and transfer your information to the related department or organization, in order to provide customer with the latest news, promotions, information and service. Customer has the right to refuse to receive any promotional message(s). Smart Home reserves the right of amendment, add or cancel of any terms and conditions without prior notice under reasonable circumstances. In case of disputes, Smart Home reserves the right to make the final decision. Smart Home reserves the right to decline to provide service of any kind to any customer without any providing any reason. The English version of the terms and conditions is only for reference purpose. If there is any discrepancy between two versions, use the Chinese version as standard. Except cleaning services, other services are carried out by subcontractors. Smart home only provides arrangements such as customer quotations, handle the quotations, appointments and processing service fees. Customers has the right to choose to arrange such work themselves. If the contractor negligently causes any loss or damages, customers need to recover such cost directly from the contractor. Smart Home is not responsible for any damages caused by subcontractors. Customer should keep safe of all personal belongings. Customers are required to check all the personal belongings before the Home Assistant leaving the apartment in order not to make any misunderstanding. If customers discover any losses, they should immediately inform the police and Smart Home; Smart Home will provide all necessary information and fully support the investigation of the police. Smart Home recommended that customers purchase home insurance on their own in order to obtain the most secured protection. Customers are required to arrange and handle Home Insurance by themselves; Smart Home will not make any compensation if we lost the key accidentally. Smart Home workers reserve the right to deny any danger, unreasonable or non-service scope’s tasks. Additional transportation charges may apply for remote area, for example: Tung Chung, Sai Kung, etc or no direct public transportation connecting. If customer has pet(s), it is required to settle or detain all pet(s) to a secured place before the commencing of the service in order to prevent any accident. Customer MUST AGREE AND ACCEPT that they will not employ Smart Home’s Home Assistant directly without any prior notice to Smart Home. Cancellation of all the remaining package without refund and an administration fee of HK5000 will be charged by Smart Home (Kindly reminder: If customers directly employ Home Assistant, they are required to buy the employees’ compensation insurance, third party liability insurance, and Mandatory Provident Fund, etc to prevent not to offence the HK labor Legislation.) against any violator(s). Additional charges will be made in the period of 1 mouth before the Chinese New Year and 2 weeks after the Chinese New Year. Please contact our office for any enquiries. All the quotation, invoices and receipts will be issued by e-copy or fax, an administration fee of HK$20 each time will be charged if customers request the quotations, invoices and receipts by post. Customers are required to provide bank in slip 2 working days (48 hours) before the service, bank in slip can be send by email, fax or Whatsapp together with register mobile phone for reference. An administration charge of $50 will be charged against the customer if client failed to provide payment reference where deem necessary. Under any circumstances, Service will be only be provided after confirmation of Deposit/Payment. If customers cannot provide bank in slip 2 working days (48hours) in advance, we will not arrange services according to original schedule. Customers are required to reschedule another service date or refund the paid service fee. If customer needs to arrange a refund, the refund application arrangement will take 14 working days. (The use of credit card, online trading platform or bank transfer, cross-bank payment will not refund the processing fee). Copyright by Smart Home Professional Services Limited. This Terms & Conditions cannot be reproduced and distributed in any format for personal or internal use within an organization without Smart Home written consent.